The Amazon has announced the availability of Amazon Echo Input in India. This lets users easily add Alexa to your existing speaker through a 3.5mm audio cable or via Bluetooth. It features a four-microphone array so you can talk to Alexa from across the room. Amazon Echo Input is just 12.5m thick and users can use the Alexa App to easily connect Echo Input to your speakers. 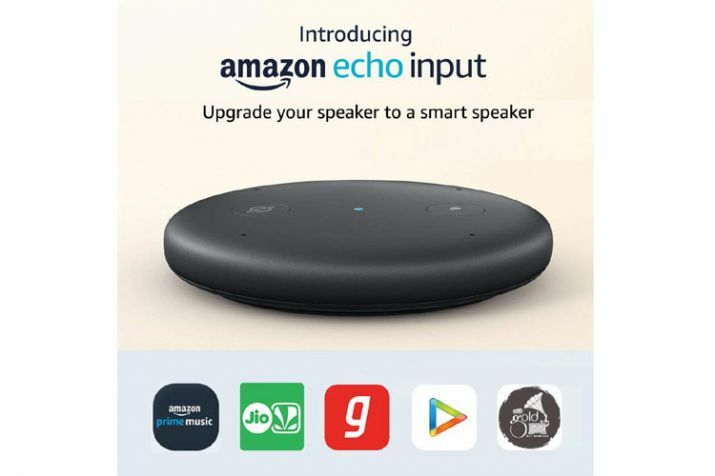 The Unlike Echo Dot, which has a built-in speaker, all audio is played through the connected speaker rather than through Amazon Echo Input itself. When connected to Echo Input, your speaker can be added to a new or existing multi-room music group. You can also adjust the volume of the Echo Input with your voice. Amazon is launching the Echo Input with launch offers from speaker brands such as Bose, JBL and UE Boom. When you purchase Echo Input with select speakers from these brands, you can get up to Rs. 2,999 off. The Echo Input is priced at Rs. 2,999 and is available from Amazon.in as well as Croma, Vijay Sales, and other offline retailers.